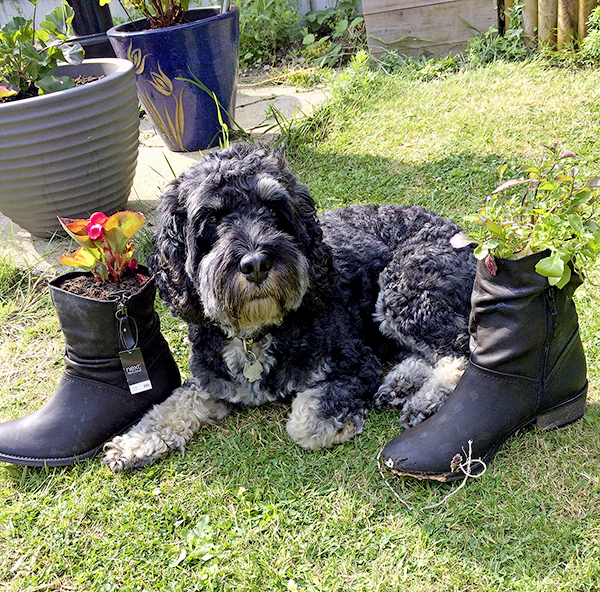 When my cockapoo Oscar was a puppy, he found my new boots and chewed them up. I didn’t want to throw them away, so I filled them with soil and planted flowers in them. They look great and Oscar doesn’t chew them anymore.